Thread: What's going on with my Gaggia Classic? I purchased a Gaggia Classic Back in November last year so it is about 6 months old. I have been buying pre-ground Merlo coffee from the local warehouse where they roast freshly. The first couple of months the machine was pouring nice smooth espresso shots and double shots were working nicely also. Over time it has started to pour slower and slower, and if I attempt a double shop, it "drips" rather than pours (probably takes a minute if I try a double shot). The coffee hasn't changed, I buy the same type of coffee and they grind it at "4.0" whatever that means (they said that was suitable for this model). I asked the coffee shop about cleaning, and they sold me "cafetto EVO espresso machine cleaner powder" which is supposed to be used as a backflush. I've used this a few times, and I just put it in the normal coffee filter that I use to pour the coffee - not sure if that is correct? Is this product supposed to be an alternative to a liquid descaler, or should they both be used in parallel? I just emailed the shop who I purchased the machine from and unfortunately English doesn't seem to be his first language. He has said never backflush the machine. So I don't really know what to do. Do I need a liquid descaler or can you suggest something else? Welcome to Coffee Snobs DJ. Next time you buy coffee ask your supplier to grind a step coarser than "4" may be as simple as that. It's not easy to regulate if you don't grind your own coffee, coffee beans and grinders vary over time. bosco and jbrewster like this. So do you think the cleaning product I am using is sufficient? Do I need to descale in addition to this? I'm unfamiliar with the machine your using, does the water flow in a reasonable stream without the portafilter in place? I would be surprised if its major scale build up in a machine less than 6 months old. Do you live in an area with poor quality water? As I said, try a slightly coarser grind first up. Possibly. 6 months would be about the right timeframe for Brisbane water (not particularly hard compared to other cities), but impossible to tell until you have a look at the element. If you have a manual for the machine I would use what they recommend for the first time and use their proceedure. 100% agree with Yelta, getting a good grinder will help. You can grind as you wish and adjust as needed - even 'house' blends change composition slightly overtime with seasonal variations etc. You need a blind basket or a backflush disc to be able to backflush properly. On a new Gaggia Classic you should be backflushing with water about once a week and with the powder about once a month. You can do it as much as you like with water, but it’s best not to over do it with powder. You could have a slightly blocked group head and/or 3-way solenoid so a proper backflush might be all it needs. I’d be hesitant to descale such a young machine and wary that if it’s not done properly it can cause more problems than it solves. If it does turn out to need a descale DO NOT use the backflush detergent for descaling. Spanner in the works...but I didn't think the new Gaggia Classic had a solenoid valve, so unsure if backflushing is still an option? Better double check that one! I personally think it is more due to preground issues and being unable to adjust the grind yourself. Good point. I just assumed it still had a 3-way, but if it doesn’t you definitely can’t backflush it. UPDATE - I removed the two internal parts out and soaked them in some cleaner. Afterwards the coffee is pouring a lot faster and "creamier". I still think there is some issues though, as when I remove the filter basket after pouring a coffee, there is water sitting on the top of the coffee. When I first started using the machine it would be pretty much dry when I pulled it off. Do you think this could be descaler clogging something up internally or do you all still think its the grind? I find it hard to believe its a grinding issue as I've been ordering the same coffee freshly ground from the Merlo warehouse. I've gone through about 6kgs of it and each bag it has gotten "slightly worse". Makes me think the coffee machine is having issues not the grind. I could possibly ask them to try grinding courser though - I asked on the weekend, they currently do "4.0" (I don't know what that means), I asked if we could go up slightly and she said "4.7" but that it was "a huge difference". Any know what she's talking about and whether there should be another option in between? Above post inspired me to check the shower head. Machine has had one years use. Found it to be clean and clear. Put this down to my practice of flushing with and without the group head in place after every session. Even on the second flush there is always some discoloration of the water. If the place you buy the coffee from has been grinding the coffee for you on the same grinder for 6 months on the same setting you will be getting different results than what you were getting at the start. Firstly the coffee itself will have varied over that time and secondly the burrs on the grinder will have aged. The amount that the burrs have changed will depend on how much coffee they pre-grind. Also they may have actually replaced the burrs. Whatever the case it sounds like they don’t really know much about making coffee at home on domestic machines as telling you your grind is a ‘four’ is completely meaningless. I think it is probably a little unfair to say they don't know much about domestic machines based on that. I think they've told me the number so that when I order next time I can just request that it be ground at "4.0" without having to re-state the type of machine etc. Right. Sounds like a pointless exercise to me and pretty poor customer service from them that has probably contributed to the issues you think you’re having. They probably mean well, but it’s a lazy approach in my opinion. As you say, I don’t have the full picture so it’s just my opinion and might not be worth anything. I then de-scaled the machine and now the steamer is working a lot nicer (lately it's felt like the foam separates too much from the milk) it came out nice and glossy. As for the coffee, it actually tasted stronger and nicer after descaling. I still notice a little bit of water in the filter after doing a coffee (it's sort of like mud rather than heaps of water sitting on top). When I first used the machine it would be pretty dry when removing the filter after making a coffee, so still seems like a bit of water sitting there (not sure what this means). Overall big improvement from cleaning/descaling without changing the grind as most suggested. bosco and LeroyC like this. A bit of water on top of the puck is generally underdosing. Try adding a bit more coffee. On the other hand, if your enjoying the coffee, a bit of water on top of the puck is nothing to worry about. A creamy pour in a few seconds? You need that grind finer. Asap! A few meaning 10-15 seconds. Time to do a bit of personal research djb, you need to gain an idea of the espresso process and exactly what your trying to achieve, here's a link to a helpful video to start you off. UPDATE Three days later the group head gasket is spurting out the side. I obviously damaged it when taking the shower head out. Such is life, live and learn . So although a single shot is pouring nicely, a double shot IS NOT. I tried to do a double shot today - it was coming out in drops and just black, no creaminess colour to it. What could be the problem here? Does this point back to grind issue or is there a pressure issue with the pump, given a single shot works ok? Too fine? Tamped too hard? Overdosed? DJ, I find when I add more coffee to the portafilter it runs more slowly, I assume because there is more material restricting the flow. It sounds like your grind is perfect for a single shot, maybe too fine for a double? I wonder if you wouldn't be better served in terms of coffee flavour, freshness and adding the ability to change grind when required - by buying one of the second hand Sunbeam or Breville grinders which turn up here. 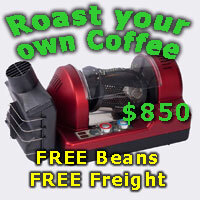 Some are under a hundred dollars, seems less hassle than returning to a shop all the time to get the perfect grind. I would bet on grind before failing pump, if you are a betting man. What baskets do you use for your single and double shots? and how much coffee do you dose in the baskets? record the time and qty of the shot that results. Did you watch the video I gave you a link to in post 20? "although a single shot is pouring nicely, a double shot IS NOT. I tried to do a double shot today - it was coming out in drops and just black, no creaminess colour to it. What could be the problem here? Does this point back to grind issue or is there a pressure issue with the pump, given a single shot works ok?" As I said, you need to figure it out for yourself, experiment, only change one variable at a time, keep notes, only you can do it. PS: there are single and double baskets. You’re very limited when you use preground coffee. There’s nothing wrong with that option and suits many people but it sounds like you’re finding the limits of your current arrangement. I think you need to accept what you’re seeing as such or if you want to move beyond this then buy yourself a half decent grinder (something like the Breville BCG600) and do what Yelta recommended above. My VST basket (single) has a 7 gm dose, the double is a different basket. Sunbeam put out a single and double basket with their machines, even the very low spec ones. I know, I have owned them. And as said above by Yelta, the video is well worth a look. And the others in the series. Ah ok, strange, because the machine didn't come with a separate basket for double shots and the manual doesn't mention anything about changing basket for a double shot (but it does talk about double shots being ok to do). I realise you are all saying that it's a limitation etc, but the reality is when I first started using the machine I was getting double shots no worries. If I was certain it was the grinder then yeah I would go and consider one, but that is an expense I would rather not jump into as part of a problem solving phase. I was hoping there might be some other things to look at before jumping to that conclusion. chokkidog and zeezaw like this. 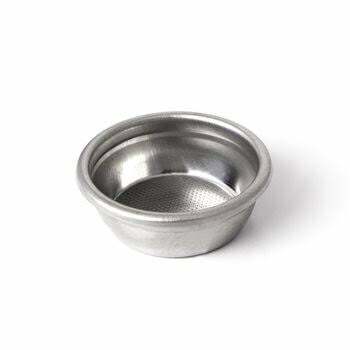 The standard Gaggia basket is considered a double shot basket. I believe it’s a nominal 16g basket, but is fairly forgiving so will handle a dose of 15-18g. Thanks for confirming this - so the people who are telling me that the issue is the basket are wrong? 34 posts in this thread djb, some offering excellent advice, do you feel your any closer to a solution? I had a laugh what, the trolling isn't occurring on my end that's for sure. One person here told me that double shots were pouring slow because I was using the wrong basket - then somebody validated I was using the correct basket. Sorry if I am a little skeptical on the advice that the only way for me to get a double shot to pour smoothly now is to purchase my own grinder. From what you said,. You adjusted the grind setting so that single dose in a double basket will flow at reasonable rate. Dosing more ground in the same basket for a double shot will result in much slower flow rate. I’ve just re-read the whole thread and I can’t see anyone saying that you’re using the wrong basket so I think you’ve misunderstood. The discussion on filter baskets was just pointing out that usually you use a different size basket for single and double shots. Those terms are actually quite meaningless these days as most people actually go by weight and most baskets have a nominal weight or weight range. As I said above your Gaggia basket is probably a 16g, but I wouldn’t know for sure without at least seeing a photo. So you should be weighing your dose to work this all out. You don’t necessarily have to do it every time, but it helps to do it this way until you’ve got your shot dialed in. 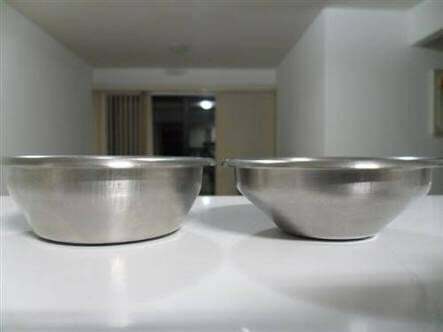 ‘2 scoops’ is quite vague and could weigh anything from about 10h to 20g or more even. It’s actually quite difficult to get this type info across successfully and really help people in this type of forum as the written word can often be misinterpreted. The best option would be to get some face to face training, but if that’s not possible then watch some videos on YouTube for sure. bosco, rawill and 338 like this. DJBlur, I think you are misinterpreting well meaning advice. A single is often considered, very, very loosely, 7 to 9 grams and a double 14 to 20 grams. Leroy has said your basket, sight unseen, is probably the 15 to 18 gram basket. You have now extrapolated Leroy's helpful comments to say everyone else is wrong. You can work out what size basket by doing the maths on these numbers I have just given, then decide if you consider your portafilter basket a single or double or maybe both. You actually have no idea what grams you are putting in the basket as you don't weigh the ground coffee. If I was so bold, I would suggest you decide what you think your basket is, then weigh an appropriate amount of coffee, then see the result. Go back to the shop if not perfect and get 250 grams of coffee split into 3 bags all ground differently either 3 different steps coarser or 3 different steps finer, whichever is required - eg 3 x 80 gram bags of different grinds. Test all on the same day for consistent results. You can see why I said it may be easier and more effective to buy your own grinder. Yep, mine's the one on the left. So that’s a standard double shot basket. You should be filling it with around 16g of coffee and achieving a 40-50ml espresso in about 25-35secs. If you can’t get results within these parameters then the grind needs to be adjusted. Simple clear description from one of the good guys on here. UPDATE - Ok so I had the shop grind my coffee slightly courser. From 4.0 to 4.2 (4.0 is their recommendation for the Gaggia). A double shot comes out fast now and there is still a creamy look to the coffee however it comes out weaker and doesnt taste as good as when I do a 4.0 (although the 4.0 sitll doesnt taste as good as previously). Now I know everyone is suggesting having a grinder is the simply best case scenario, yes I agree, however I believe given I've now tried courser coffee that it is not the primary issue here. Surely there could be some operative issues with the machine struggling to pump with enough pressure or something? Or does everyone still believe the only possible scenario is that the grind is wrong? Or does everyone still believe the only possible scenario is that the grind is wrong? I'd like to be as sure of winning a lottery DJ. Your constantly playing catch up having the store grind to a certain setting, burrs on a shop machine are wearing/changing continually, this weeks setting of 4 on a shop grinder, because of burr wear, may well have changed a couple of points by the time you make your next purchase. The only way to nail it is to buy a reasonable grinder (a good used Rocky will do the job) then adjust your grind for individual shots, keep doing it until you are pulling shots to your satisfaction. Once you've nailed it everything will fall into place. rawill, magnafunk and 338 like this. But why? Why are you certain that there couldn't be a fault with the machine? Have you owned a Gaggia Classic and you know for certain that there is never an issue with the pump? I don't doubt having my own grinder would be the ultimate best case scenario, giving me full control and the ability to make the absolute best coffee at any point in time, but I think you are still overplaying the unpredictability of their grinder. The shop that I'm purchasing from isn't just doing a bit of grinding on the side, they are the warehouse for the distribution warehouse of Merlo coffee in Queensland and they are predominantly a wholesaler (not just a small retail coffee shop who sells a couple of bags a week on the side). I have purchased the same coffee over and over without any change in the quality of coffee (it isn't good one week and bad the next), however in the last month or two its gone down hill, as I've mentioned above. As recommended, I asked them to grind it ever so slightly more course, and now its weaker than normal. I was going to be cheeky and suggest try 4.1, but you have convinced me, try a new pump and let us know how you go. DesigningByCoffee, gordons and Jaya like this. Where are you located? If you are near a Gaggia service centre, or any reputable espresso equipment service centre really, consider taking the machine to them and asking them to run it through it's paces to verify if there are any problems. A 6 month old Classic is very, very unlikely to present any issues however it would be possible. I've owned a few Classics and have serviced countless more. They are a bulletproof machine and it's usually lack of maintenance or poor water quality which lets them down. Sounds like you want a particular answer. Unfortunately.... it's 90% likely to be the grind. 5% likely to be the pump. 5% Ghosts. Doesn't matter who the people grinding it for you are, in the end they are supplying you with pre-ground coffee. I'd reckon most of the Merlo coffee leaving the warehouse is whole bean. Yes, I can appreciate that you don't want to go out and spend $$ on a grinder, but that is not going to change the fact that the grind is the most likely issue.